Toyota’s mid-1980s Tercel wagon has evolved into something of a cult car. Likely pulled up by the rising tide of the competing Civic Wagovan, this oddball Japanese wagon with its funky high-roof styling and pseudo-off-road cues can’t be getting popular because of the driving experience, though – with a meager 63hp to motivate a 2100-lb. wagon (not very porcine, but overwhelming for a 1.5), it’s not going anywhere fast. That said, with an improvement in power-to-weight, owning one of these quirky j-boxes might be a little more fun. Fortunately, someone already came to that conclusion and grabbed a 4AGE from a Corolla FX16 or MR2 and dropped it in an unsuspecting 2wd wagon. 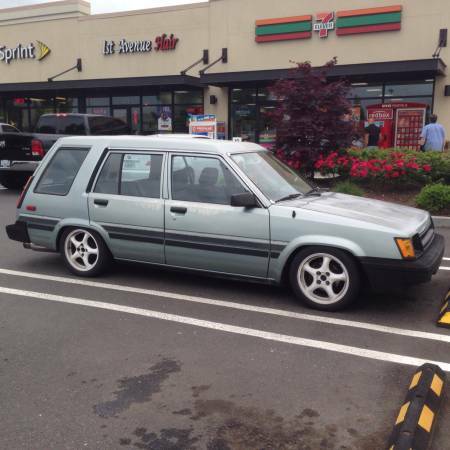 Check out this 1986 Toyota Tercel 4AGE wagon for sale for $2000 in Vancouver, WA. As mentioned in previous posts, there’s something really appealing about the simplicity and singularity of purpose of a classic American pickup. Before they were trying to be a luxury car, family sedan, commuter vehicle, off-roader and stuff hauler all in one, they were a vehicle with a job to do. Around the time our two feature trucks were built is when perceptions about their purpose started to change, so let’s take a look (and you can probably guess the manufacturer’s philosophy based on which one survived!). 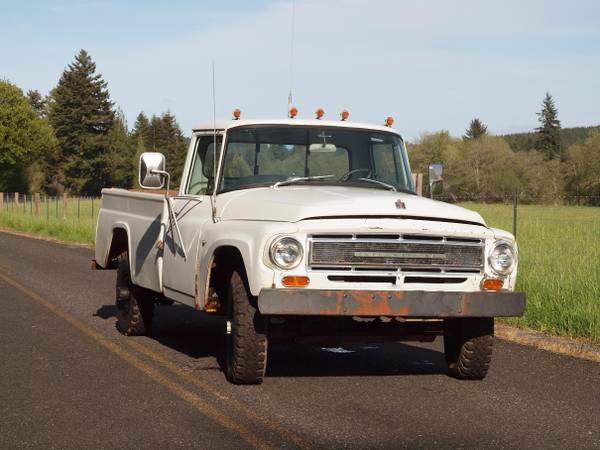 Check out this 1968 International 1200 Deluxe for sale for $2600 in Lewis County, WA. Sometimes, you check out a car because you’re interested in the car itself. But sometimes, it’s worth looking at a car not only for the car itself, but for its surroundings. While you have to be careful not to harass a seller, a visit to one with a broad collection might yield some interesting finds. And if not, well, the Milano is quite a neat car on its own – hearing that V6 is certainly worth the trip. 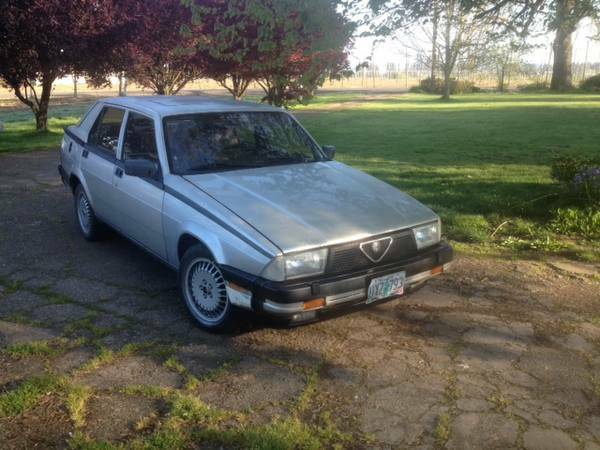 Check out this 1987 Alfa Romeo Milano for sale for $2000 in Woodburn, OR.